M-Tech Sniper Ranger Folding Knife Grey | BUDK.com - Knives & Swords At The Lowest Prices! I ordered this knife and the Sniper knife at the same time along with another knife and four days later got them in the mail! I was extremely happy with all of them! The Ranger is cool, but more than being cool it is solid, heavy, durable, locks up tight, and is sharp! 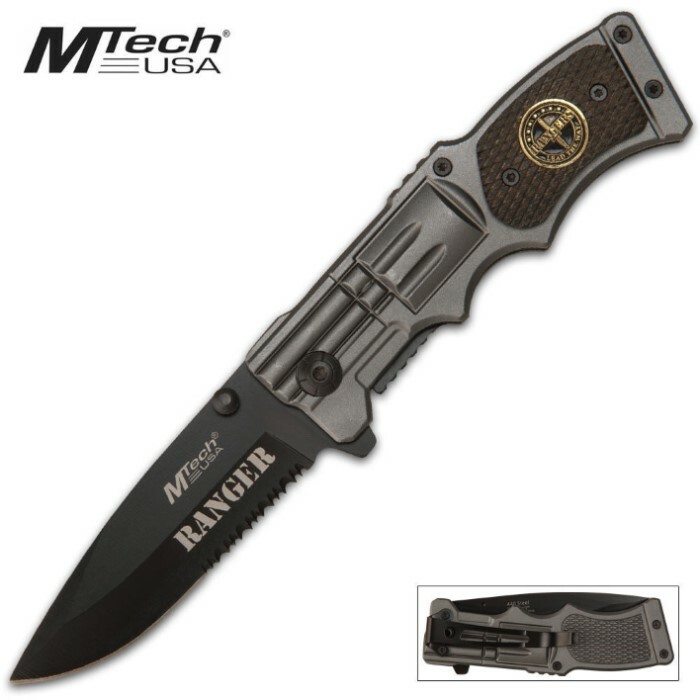 My advice is not to mess with any Army Ranger but especially if he is carrying this knife and I am going to order another one for a retired Ranger buddy of mine and you should order one too. You won't be disappointed, trust me. This liner-lock is outstanding!